Before I get started I have to do a couple of disclaimers, based on the “feedback” I've gotten in the past. I know this may seem silly, but I’m just heading off the inevitable criticism that I get every time I do one of these. First, these are my opinions and are subjective based on my experience. Not everyone has the same requirements and needs when it comes to software. You may have different opinions, and that’s fine. What may be a deal breaker for me may be fine for you. Secondly, I’m only covering software that I use or have tested. I’m not going to cover every conceivable pice of software available as I don’t have the time and this post would be insanely long. Finally, I’m using a mac, because that’s what I have. Some of this may be mac focussed or mac only. This is not an attempt to discriminate against PC users, but it’s just what I have access to. These are the most common options that people use, based upon my experience with this blog and people’s feedback. They are also the options that I have the most experience with and done the most testing on. Lightroom has long been something of an elephant in the room when it comes to Fuji processing. Despite several well documented issues (which I’m not going into again) it's probably still the most used of any software for Fuji shooters. In the past, I would suggest only using Lightroom with some tweaks to the sharpening, and only if you found the results acceptable. Alternatively use it with X-Transformer (see below) With the most recent updates, Adobe added a new feature called “Enhance Details” which is an alternative demosiacing process which solves the X-Trans issues for the most part. I have discussed it previously in detail, so I won’t go into it too much here. 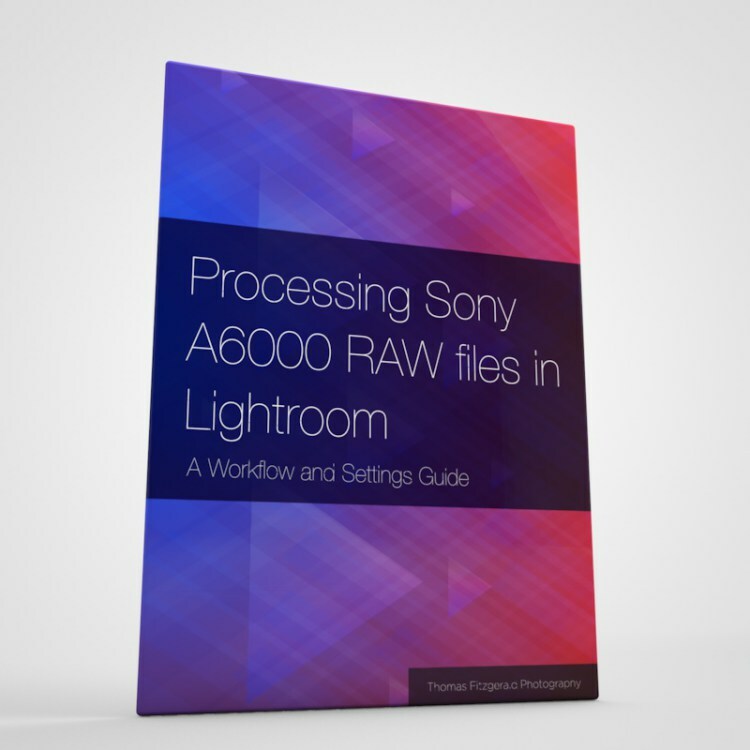 The downsides of this are that the process requires a fast GPU and it also takes up a lot of disk space as it creates a new DNG file from your Raw file. However, the results, in my opinion, are probably among the best you will get when processing Fuji files, albeit at a speed and space cost. If you like Lightroom, and want to keep using the software, and have a computer that can handle Enhance Details, then this is probably the option to stick with, as you don’t really need any other options any more. 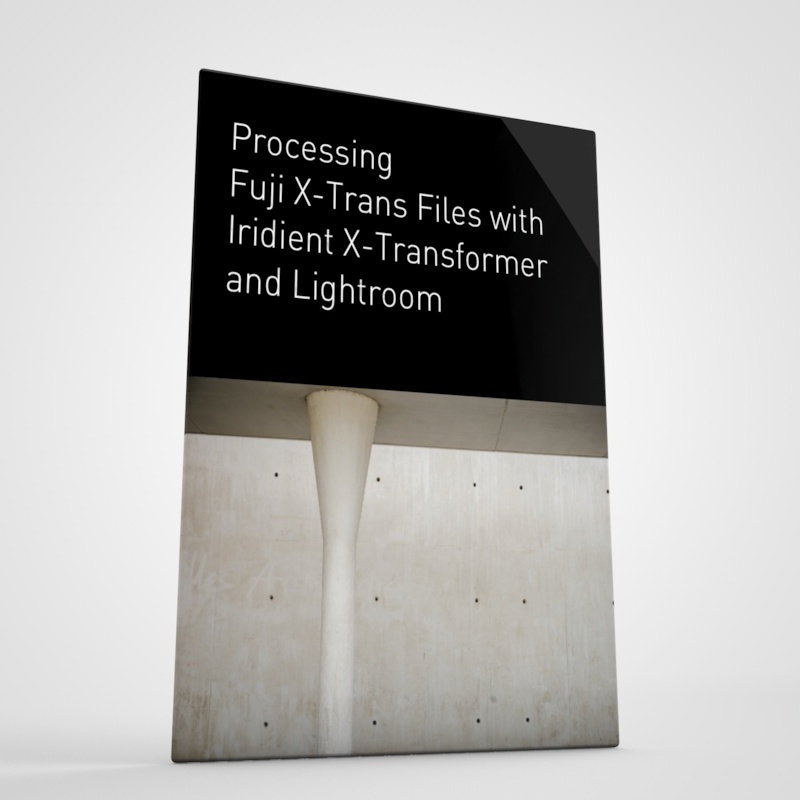 Iridient X-Transformer was originally created to address the shortcomings of Lightroom. It works by demosiacing the software into a DNG file using its own engine. The software is similar to how enhance details works (X-Transformer was released a long time before Enhance Details though) but it is faster. Whether the quality is better or not, depends on your own perception. In my opinion, it’s not quite as good as the results you will get with Enhance Details. The advantages are that file sizes are smaller, and the software is less resource intensive, meaning it can run better on older computers. 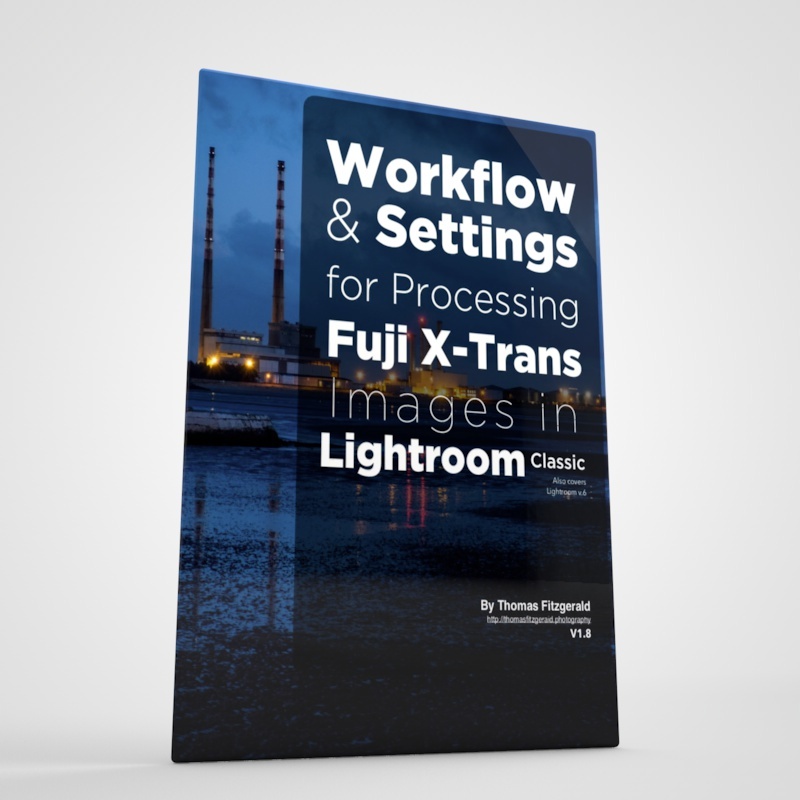 However, if you have a computer capable of running Enhance Details, and you don’t already have X-Transformer, it’s hard to recommend it, as its an extra purchase that you don’t really need if you’re running the current version of Lightroom. There still may be reasons for using it though, and the jury is still out on this one. Iridient Developer was probably the first major third party software that really showed the potential of X-Trans files when processed outside of Adobe’s ecosystem. It was also one of the first applications that I covered in detail. The software has a lot of capabilities, especially if you want to get into the technicalities of the processing. It gives you a lot of options, and you can be very precise in how you extract details from your files. On the down side, it hasn’t had any major updates now in quite some time (aside from bug fixes and new camera support), and to be honest, it’s starting to feel a little old. I also don’t think it’s as capable as some of the other options here in terms of overall processing. While it does a fine job for decoding X-Trans files, the rest of the application is lacking in some ways, and you may need to use it in conjunction with another piece of software. 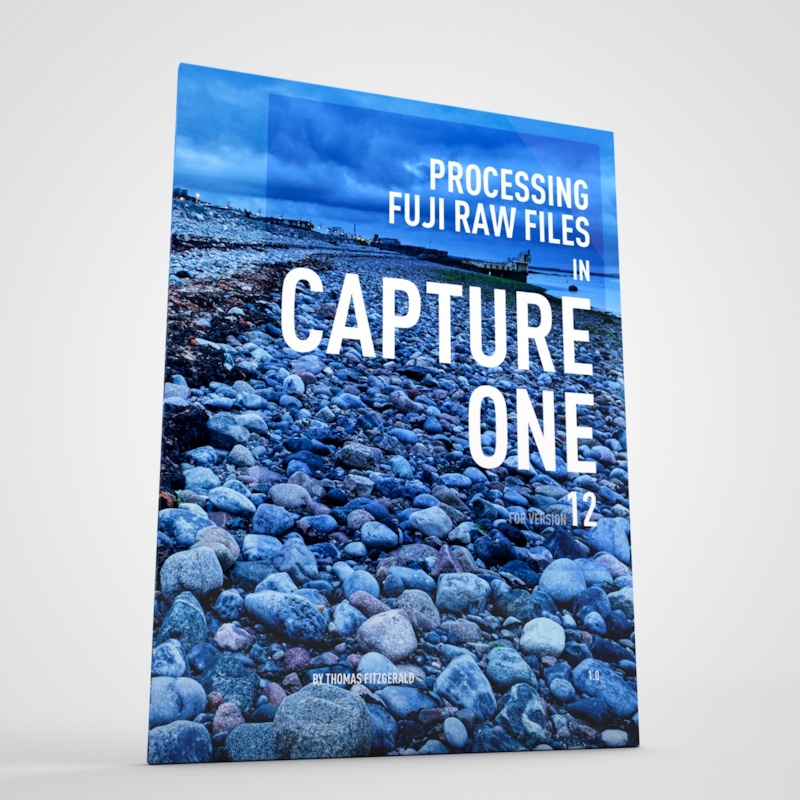 Capture One has long been another favourite for X-Trans shooters, but with recent releases and the company’s partnership with Fujifilm, the software has jumped to the top of the pile in my opinion. Version 12 added support for Fujifilm film simulation modes, which has made a big difference. The software does really good X-Trans conversions and unlike Lightroom, you don’t have to do any additional process to get the best results (apart from tweaking the sharpening). The software is also fairly fully featured. While it doesn’t offer every feature of Lightroom (it lacks HDR processing and built in panorama stitching) it also offers quite a few features that Lightroom lacks. For X-Trans conversions it’s among the best, and like all of the top options, it will produce quality files. It’s pretty subjective which of these is best, but they’re all more than good enough in my opinion. Capture One is currently my preferred choice for working with X-Trans files. Phase one have also released a free version of Capture One, which has cut down features, but it is still a capable processor. It has the same core processing as the Pro version, although many of the features are disabled. However, it is free. If you’re looking for an alternative to Lightroom, but don’t want to spend any money on it, its a good option. You can also use it in conjunction with other software if you wish. The other big limitation is that it will only work with Fuji raw files, so it’s not really practical if you use cameras from multiple manufacturers. These are options that I don’t have strong feelings about either way when it comes to Fuji processing. They all do a good job in terms of image quality but may lack some specific features (film simulations for example) or have other issues regarding workflow, and other capabilities. Anyone who follows this blog knows that I’m a big fan of Luminar. In the latest major release they added some asset management features, however the software still has a long way to go before it can be a full replacement to software such as Lightroom. However, you can still use it as a standalone editor or as a plug-in for other software. In terms of RAW conversion, it does a good Job with Fuji files. There’s no direct support for Fuji film simulation modes however. The software supports both camera profiles (but not the Fuji ones unfortunately) and LUTs, so you can kind of add the options through LUTs. Depending on your requirements this may be enough to use as a stand alone RAW converter and workflow app, but personally I mostly use Luminar as a plug-in as the asset management side still has some key features missing. Affinity Photo doesn’t really fit with the rest of these applications, as it’s more of a stand alone editor like Photoshop rather than Lightroom. However, I get constantly asked about it. In terms of RAW conversions it does a good job. However, it doesn’t support Fuji’s film simulations and the RAW conversion process is destructive. When you open a RAW file in the software’s develop persona (the equivalent of Adobe Camera RAW) and make your changes, once you apply those changes the results are baked in and you can’t go back and make further tweaks without starting again. This may not be an issue for some users, but personally I find this a big limitation. Aside form this though, the software does a good job with Fuji files, if you don’t need the film simulation modes. Picktorial is a Mac only application, that does a fairly good job at raw conversion, but has some clunky controls. The most recent version added some more asset management features, but it’s still limited compared to something like Lightroom. The thing I take issue with this software is that it doesn’t have direct controls for noise reduction and sharpening. You can only add these through the selective edits, meaning you have to fill a mask and then use that for sharpening. It is a bit complicated, and while this may not bother some people, I find it onerous. I also have difficulty running it on my ageing Mac Pro, which is probably due to the fact that I have a very old (and not very good) GPU. It does support Fuji film simulation modes, but only through the purchase of an additional add on. Raw Power is another application that I don’t really use, but it does an ok job. This application is from some of the team originally behind Aperture. It is like a more powerful version of the editing tools in Apple’s Photos. It does an ok job, but I personally am not a fan of the application. It’s not partiurlarly bad or anything - I just don’t find that it offers anything for me over the other options available here and personally I find the interface a little clunky, but that’s just my opinion. There is also an iOS version available. These are applications that I would consider to have a serious issue that for me personally is a deal breaker. Again, this is just my opinion, and the issues that I have may not bother you. On1 Raw could be a great piece of software. It has lots of features, and the developers have done their best to match Lightroom’s feature set. However it has some serious flaws in my opinion, especially when it comes to Fuji conversions. Firstly, despite insistence that issues have been solved, based on my testing there are still some artefacts in certain circumstances that, while may not bother most people, in my opinion there shouldn’t be any. Others may not share my nit- picking nature when it comes to this, and that’s fine. The bigger issue though is that the lens correction module adds an additional layer of sharpening when applied, that over-sharpens the image and adds some horrible artifacts which are especially bad on X-Trans files. Because many lenses require some degree of correction, for me personally, this is a deal breaker. If you don’t care about this, or aren’t as critical about image quality, then this may be an option for you, but I don’t like it for this reason. Exposure is another piece of software that I really wanted to like, and has potential, but is let down by one serious limitation. Again, it is to do with lens correction. There is no chromatic aberration correction in the software. Most of the other applications mentioned here do some form of aberration correction, whether at the raw level, or as additional controls, but there is none whatsoever in Exposure, which seems bizarre for a modern application. Most lenses require some degree of correction, so to not have any is rather odd. This is a shame too, as otherwise the software is fairly good. It does some nice conversions, and has some nice options for simulation film, but with such a critical feature missing, I can’t recommend it. For some users, the issues I have with it may not bother you, and if that’s the case by all means check it out. There is a 30 day trial available. Here are a few additional applications that are worth mentioning, but I don’t use these regularly for various reasons, but you may still like to use them. This is the RaW converter that comes with Fuji cameras. It’s ok, and does an ok job at conversions, but its pretty slow and clunky. It also lacks the ability to properly recover highlights. It is free though, but it’s hard to recommend when Capture One Express does much of the same functions, but is a much better application. 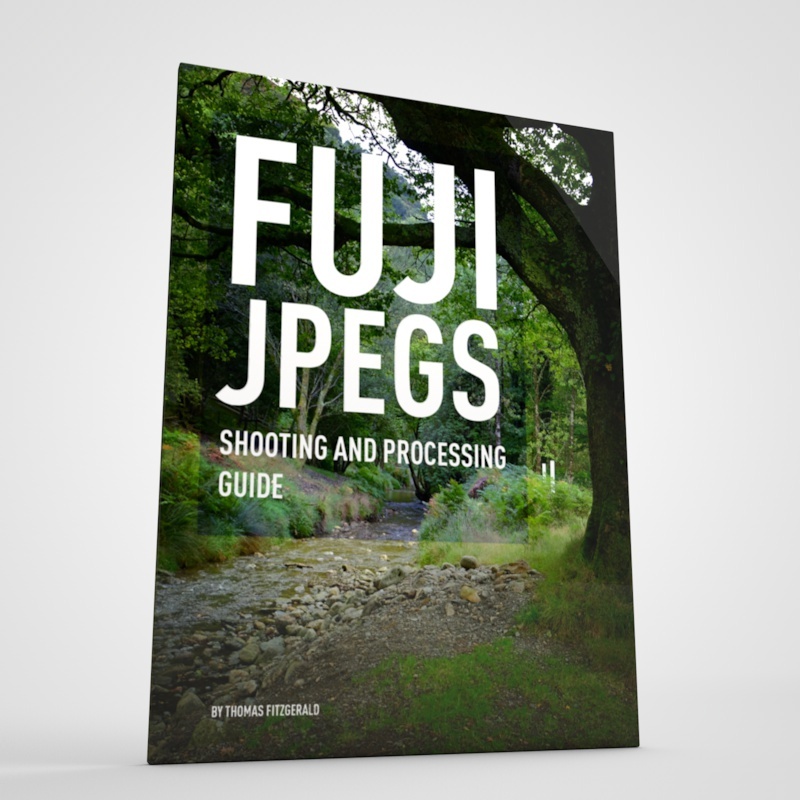 This is Fuji’s other application and is an interesting approach. It connects to the camera and uses the onboard processor to convert raw files into Jpeg. It’s not strictly a RAW converter in the traditional sense, and is really a front end for the on-camera processor. It also only creates Jpegs, and has no option to create any other formats. It is a bit clunky, but it does have its uses. Having said that, it’s not something I use regularly. See this post for my previous coverage on X-Raw Studio. As mentioned earlier in this article, my current workflow for X-Trans files is pretty much to use Capture One Pro. The reason for this is that for me, it’s as good as any of the other options but you don’t have to go through any hoops by pre-processing the images. Some people might argue whether Capture One, X-Transformer or Lightroom and Enhance Details produce the best results, but in my opinion, you can only really tell by scrutinising the image and they’re within the ballpark so that the workflow for me is more important. That said, I still occasionally use Lightroom and X-Transformer, as sometimes there may be Lightroom presets that I wish to use. When I’m finished in Capture One I export the finished images as Tiffs or Jpegs and import them into Mylio which I use to manage my library of finished images. If I need to do any additional work, I generally bring the images into Photoshop, and save them back to Capture One or export them directly into my Mylio Library also. If I’m editing in Photoshop I’ll sometimes use Luminary’s as a plug-in for additional processing. You can call this directly from Capture One, but the workflow is a little clunky, and I find it easier to go to Photoshop first. I’m regularly changing my workflow though, and sometimes I go back and forward between different applications as my main preference, so when I change things up again, I’ll update this with another one of these posts! If you use a different workflow, or have strong feelings about any to the applications mentioned here, feel free to leave a comment with your own experience.